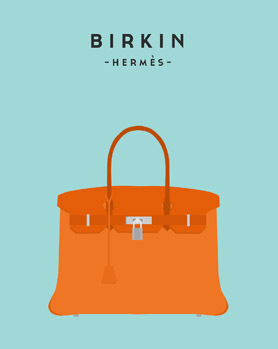 Considered the ultimate luxury item the world over and hand stitched by skilled craftsmen, wait lists for the Birkin often exceed a year or more. Togo leather is textured and scratch resistant, made from calf hide. 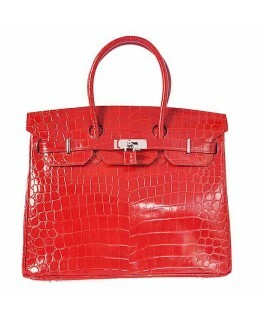 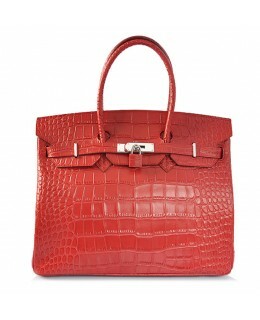 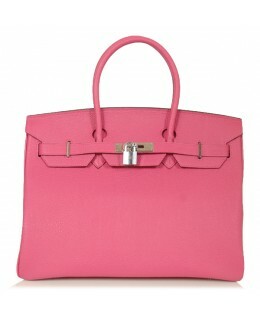 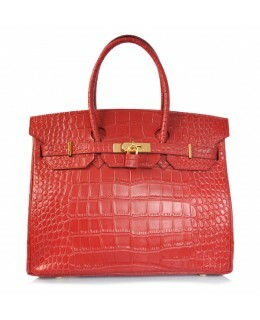 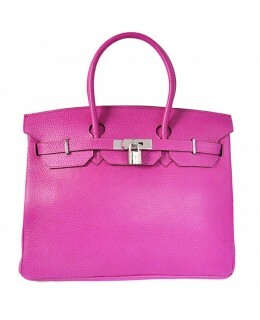 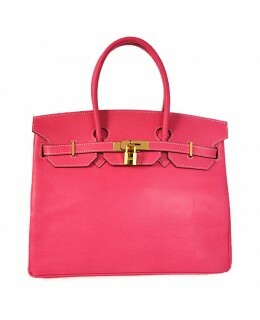 Considered one of the most popular leathers for the Birkin, it maintains the shape of the bag well over time. 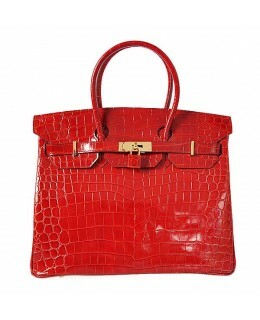 Hermes Replica 35cm Birkin Bag White Togo Leather Golden Metal-2777 Genuine leather ..
Genuine leather Hermes Replica 35cm Birkin Bag Plum Red Togo Leather Silver Metal-2819 Size (..
Hermes Replica 35cm Birkin Bag Orange Togo Leather Golden Metal-2761 Genuine leather ..
Hermes Replica 35cm Birkin Bag Coffee Togo Leather Golden Metal-2785 Genuine leather Si..
Genuine leather Hermes Replica 35cm Birkin Bag Candy Collection Togo Leather with Silver Hardwa..
Genuine leather Hermes Replica 35cm Birkin Bag Candy Collection Togo Leather with Gold Hardware..
Genuine leather Size (LxHxD): 13.8" x 11" x 6.3" (35cm x 28cm x 16cm) Color: Blue Jean Silv..
Hermes Replica 35cm Birkin Bag Black Togo Leather Silver Metal-2781 Genuine leather ..
Hermes Replica 35cm Birkin Bag Black Crocodile Porosus Leather with Golden Metal-2807 Genuine l..
Hermes Replica 35cm Birkin Bag Orange Ostrich With Silver Hardware-2102 Color: Orange Si..
Genuine leather Size (LxHxD): 13.8" x 11" x 6.3" (35cm x 28cm x 16cm) ..
Genuine leatherSize (LxHxD): 13.8" x 11" x 6.3" (35cm x 28cm x 16cm)Color: WhiteGold hardware..
Genuine leatherSize (LxHxD): 13.8" x 11" x 6.3" (35cm x 28cm x 16cm)Color: RedSilver hardware..
Genuine leatherSize (LxHxD): 13.8" x 11" x 6.3" (35cm x 28cm x 16cm)Color: RedGold hardware..
Genuine leatherSize (LxHxD): 13.8" x 11" x 6.3" (35cm x 28cm x 16cm)Color: PurpleGold hardware..
Genuine leatherSize (LxHxD): 13.8" x 11" x 6.3" (35cm x 28cm x 16cm)Color: Purple IrisSilver hardwar..
Genuine leatherSize (LxHxD): 13.8" x 11" x 6.3" (35cm x 28cm x 16cm)Color: Purple IrisGold hardware..
Genuine leatherSize (LxHxD): 13.8" x 11" x 6.3" (35cm x 28cm x 16cm)Color: PurpleSilver hardware..
Genuine leatherSize (LxHxD): 13.8" x 11" x 6.3" (35cm x 28cm x 16cm)Color: Plum RedGold hardware..
Genuine leatherSize (LxHxD): 13.8" x 11" x 6.3" (35cm x 28cm x 16cm)Color: Plum RedSilver hardware..
Genuine leatherSize (LxHxD): 13.8" x 11" x 6.3" (35cm x 28cm x 16cm)Color: PinkSilver hardware..